As the clocks go forward this weekend, we’re all realising that spring is on its way and very soon our legs will be on show again. After a long winter hidden under black tights and trousers, it’s time to warm up winter skin with a product that suits every skin tone and offers custom colour control. Last summer myself and my friend both purchased the self tan mist when it was on special offer in Sam McCauley's. I had heard great things about it and had previously seen a review by Emma from Mastering your Make Up on this tan so I was very intrigued to try it out. So months have passed and I have been using it on and off and I am in love. 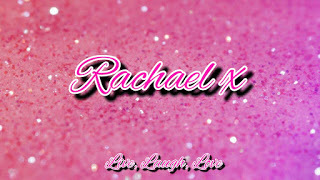 It is my go to tan if I need my tan to be 100% perfect and look amazing for events/weddings/christenings etc. It was retailing at €22 when I bought it so it isn't a tan that you would use every weekend if you are on a budget. That being said if you get it on special offer then work away and you will be a radiant goddess after using it. RADIANT GODDESS - light to Medium is the colour that I picked up, it is since available in medium/dark. Light to Medium gives a super natural golden glow with skin condtioners which give a long lasting colour. Release your radiant goddess with a colour match made in heaven. A guiding golden tint gives instant glow gratification and develops into a glorious honey dipped tan. Botanical extracts lock in moisture guaranteeing complexion perfection and long lasting colour that fades incredibly evenly. This multi-award winning mist combines custom colour with skin caring botanicals to deliver a sun kissed glow to suit your individual skin tone. 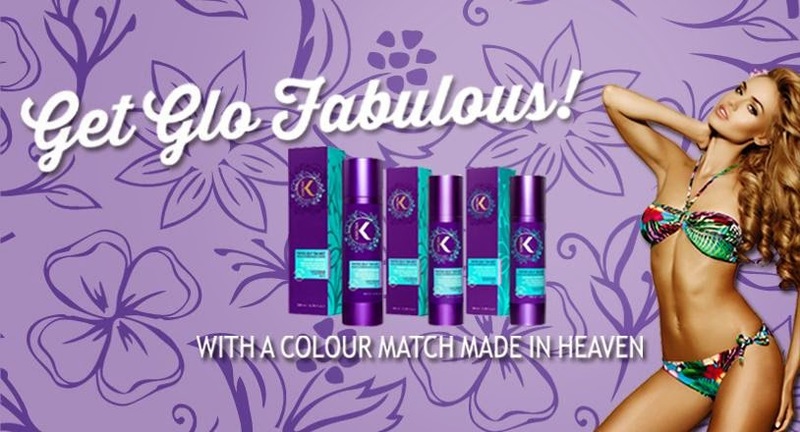 Colour lasts up to seven days and fades like a natural tan. The tinted formula glides on effortlessly, dries quickly and the golden streak-free colour intensifies after a few hours. The KARORA Self Tan Mist gives a light bronzed shade right away and this develops to a slightly darker shade over the next eight hours or so. You need to make sure to avoid any water contact so my advice would be to apply it before bed and allow to dry overnight. You will wake up looking like you have spent a week in the sun. I love that. 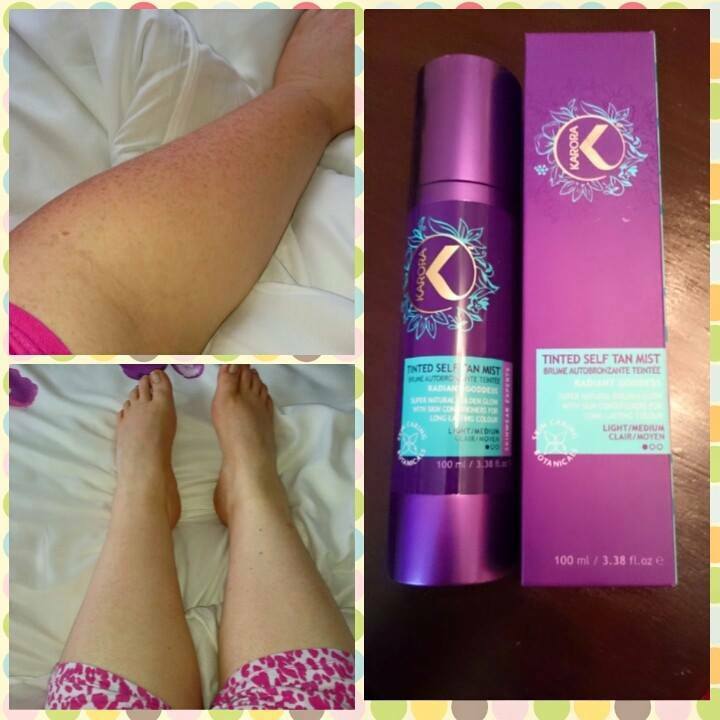 Its like an instant burst of happiness to the soul.The Karora Self Tan Mist dries pretty fast which is good. I applied it using the Glove you Body Tanning Mitt which I use to apply every tan I ever apply. I kept my KARORA tan moisturised using the Ziaja Cocoa Butter Lotion, and it can be removed easily using the Cocoa Brown Tough Stuff. Karora’s Self Tan Mist dispenses product through a spray nozzle. You can aim the tanner straight onto your body and rub it in, or spray it directly onto a tanning mitt and apply to your body from there. The mist is extremely lightweight and it’s tinted so you can see what you’re doing, eliminating the possibility of streaks. The Tinted Self Tan Mist has a nice citrus scent that completely fades once it’s dry. I was testing the light/medium shade of the Self Tan Mist and found that it gave me an extremely natural tan, which was perfect for me as you can see above I was the perfect colour. 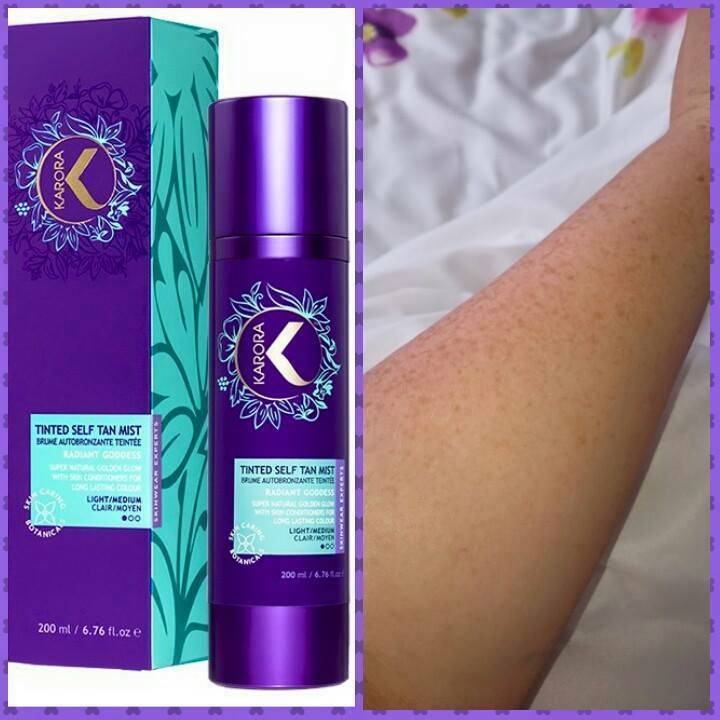 Since Karora’s Self Tan Mist looks so natural, I found the fading process to be easy and relatively unnoticeable. It started fading about 5 days in, and was completely gone by the 7th day. As it faded, I did see a tiny bit of speckling on the areas of my body that move, such as my wrists and the crease between my lower arm and upper arm. I felt the colour really enhanced my skin tone and gave me a glow, what do you think? Has anyone used it? What did you think of it? It is available in Sam McCauley chemists and Lloyds Pharmacy, McCabes Pharmacy, Adrian Dunne Pharmacy, Meaghers Pharmacies and independent pharmacies and salons nationwide. 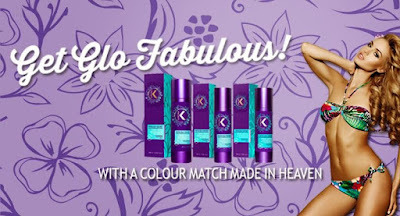 Shop online at www.karoracosmetics.com.